The French open is changing its dress code because of Serena Williams’ outfit and honestly, it’s enough. Serena Williams is the embodiment of black excellence. Year in and year out she has excelled in tennis, a sport where not many black women have been able to participate let alone reach the fullest potential. And not only has she participated, but she has also become an ambassador for the sport to a global audience and has inspired many women to be fearless in the pursuit of their dreams. At every turn, however, it seems Serena, unlike her colleagues, is repeatedly undermined. At times because she is black, other times because she is a woman often because she is both. A few years ago, I remembered seeing an ad campaign in which Serena arguably the greatest athlete of all time standing in the back while lesser accomplished tennis players were paraded in the front. She was the help, and she wasn’t welcome here. Roger Federer wears all black is celebrated and given "cool" nickname "Darth Federer"
In white, is Anne White, in Wimbledon 1985. 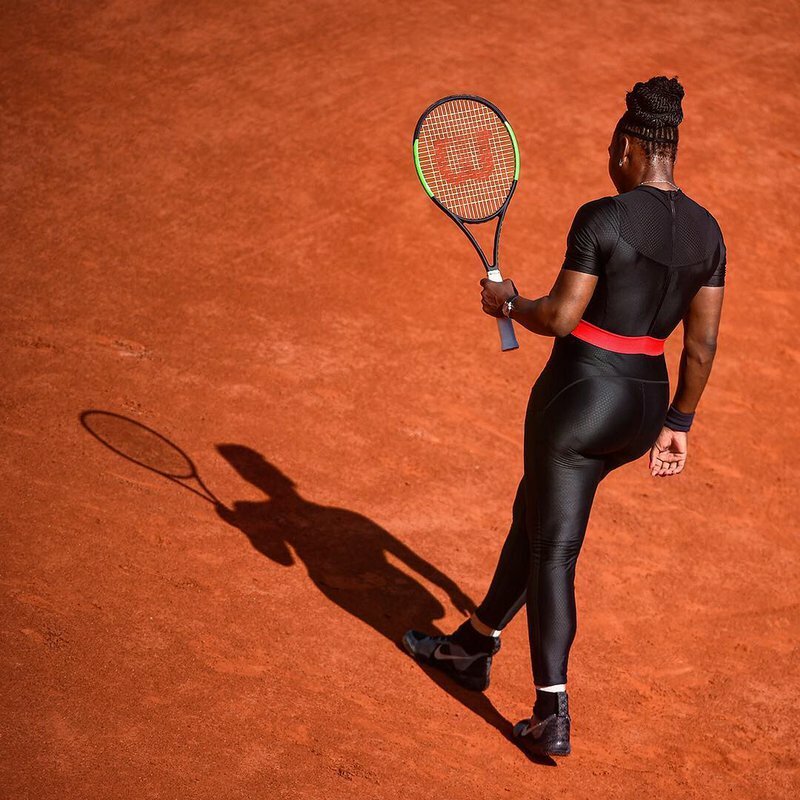 In the latest episode of, what can we do to stop Serena, the French open has decided to change its dress code in order to prevent Serena from being able to wear an all-black catsuit that she wore at the tournament in June. Honestly, there is no other way of saying it other than enough is enough. For years Serena has been fined for wearing skirts that are too short and for screaming at herself in frustration. These restrictions are hardly ever applied as strictly as they are on Williams. They are an attempt at ironing out the rough edges of her character because she does not follow the narrative of what is normal in the field. It is tiring to watch this year after year, and it is something Williams speaks about with a great deal of sadness in her docuseries, Being Serena. She disrupts the status quo in this often elitist and masculine world. This latest move has also only underpinned why she competed and won the Australian Open whilst pregnant and didn’t tell anyone. She probably would not have been allowed to play. She is also a better person than I for playing down the catsuit controversy and saying it doesn’t bother her. If the French Open is committed to transformation and transparency in sport, unlike her colleagues, they will scrap this useless dress code, and more importantly, they will let Serena be Serena. What do you think of the French Open's decision to ban Serena's dress code? Let us know in the comments below.